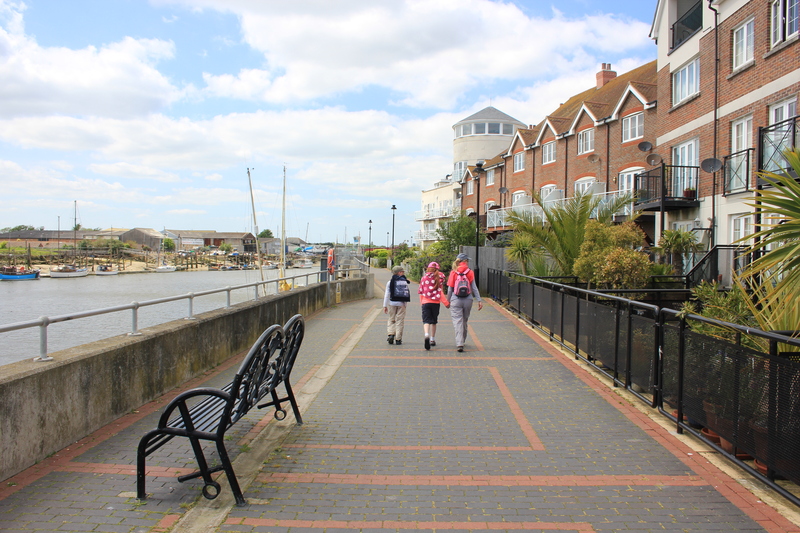 Having reached Littlehampton’s harbour mouth, we had to walk inland, alongside the River Arun, in order to find a suitable crossing point. This is known as the “Riverside Walk”, which for the most part runs alongside riverside developments of blocks of flats. The walk to the nearest crossing point was about three quarters of a mile – not too bad considering some of the other inland detours we have encountered. 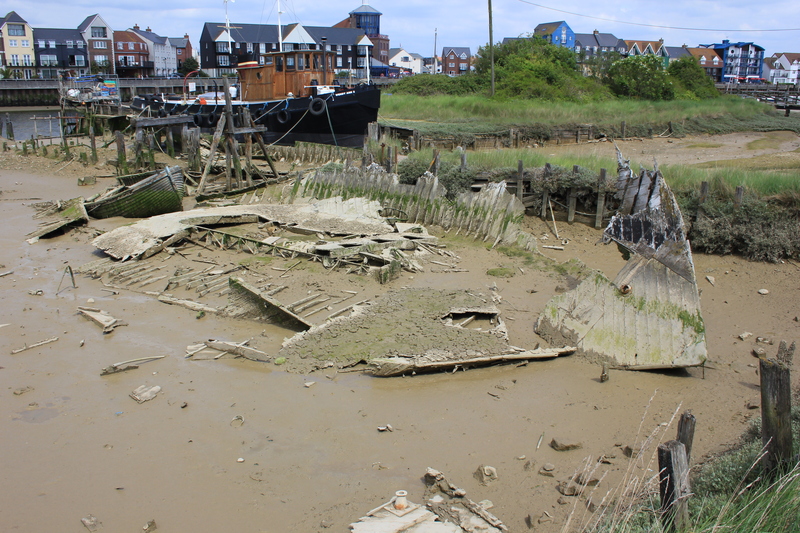 The worst of these was the combined inland walk around the Thames, Medway and Swale. From leaving the sea to getting back to it took over 200 miles. We were feeling quite appreciative, therefore, that our detour at Littlehampton totalled only a mile and a half. That was due to its footbridge. The footbridge gave us some good views back along the river, although the sea itself was out of sight. It was only when we got to the far side of the bridge that we realised it was on rails, sliding backwards and forwards to let shipping through. We set off back along the River, back towards the coast. This side of the river could not have been more different from the eastern side. Gone were the brick pavers and residential developments. The west bank was dominated by silt, ship yards, and commercial jetties. Not all the vessels were in tip top condition. Is it just me, or does this one look like old fish bones? Eventually, we reached the open sea again. 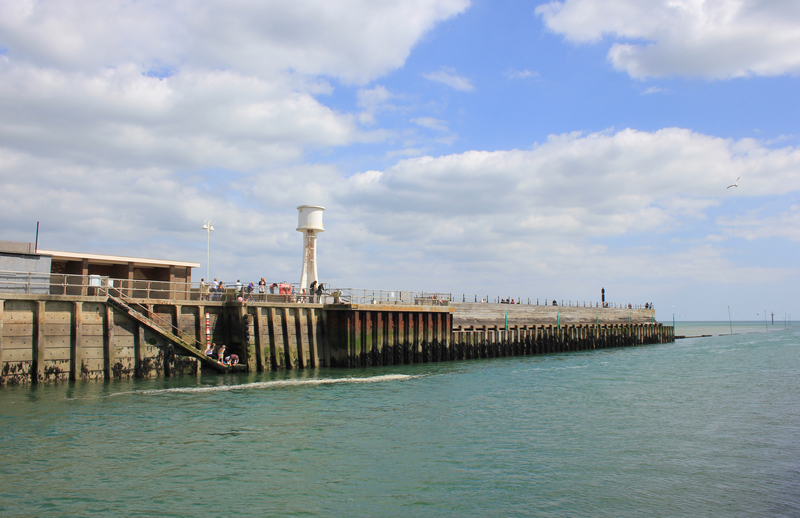 There were the lighthouse and the harbour arm on the opposite side of the river. On this side there was a convenient car park. Time to call it a day, we decided. 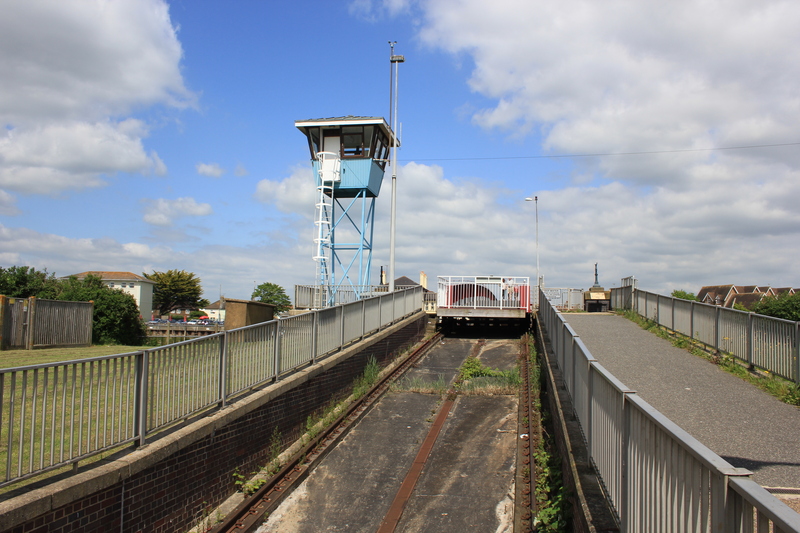 This entry was posted in West Sussex and tagged bridge, coast, littlehampton, travel, walking, west sussex. Bookmark the permalink. How funny, they really do look like fish bones! 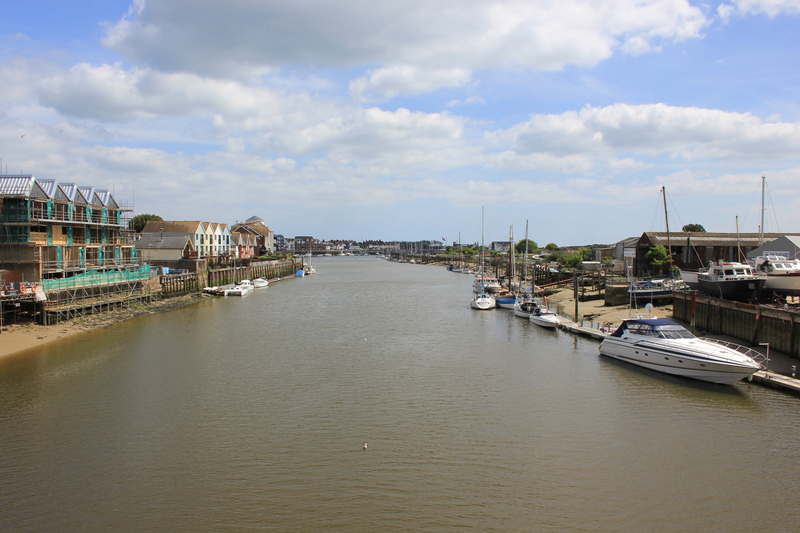 I enjoyed walking through Littlehampton and thought the riverside development was a great example of how to make the best of being a river town. 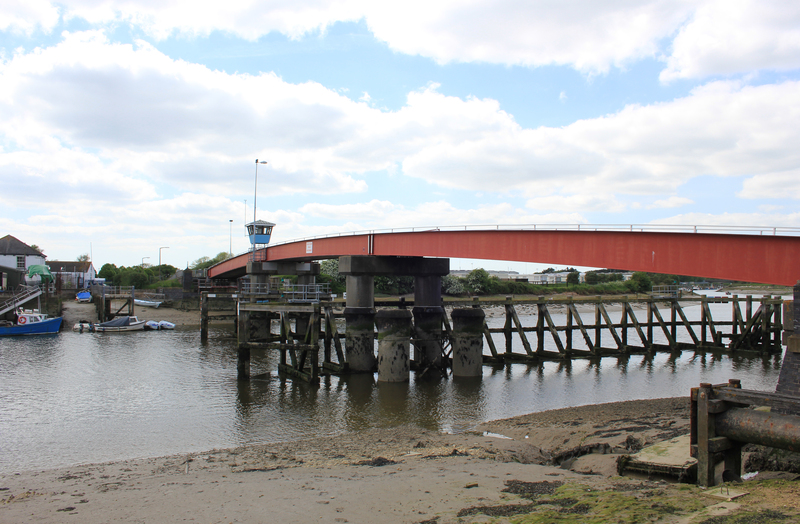 I compared it with Faversham – a pretty place but one that had let private developments take over the river banks. I also enjoyed the contrasting characters of the two sides of the river but I missed seeing the fish-bones boat!